At Paddy Pallin we love getting our boots dirty and exploring new parts of our country. We want to share this love with you and have therefore assembled a list of our staff's favourite day walks across the continent, with pristine views, rugged terrain and plenty of spots for a nice rest. Located about 135 km west of Alice Springs this walk is a great destination for a day excursion. The loop takes about 3-4 hours depending on your pace and the space on your digital camera’s memory card. Be sure to take sun protection in form of wide brimmed hats and plenty of sunscreen as there is not much cover along the walk. We recommend doing the circuit in an anticlockwise direction starting at the Visitor Centre. This gives you the chance to fully appreciate and anticipate the coming into the pound. While the walk gives you a great insight into the local vegetation and variety of geology found in the area it is also home to the Central Rock-rat, a species that was thought to be extinct but reappeared only recently after a 50 year absence. This trail is one of many walks that the Lamington National Park has on offer. Only a 1.5 hour’s drive south of Brisbane it is easy to get to and a popular destination on the weekend. Bushwalkers agree that the Coomera Cirvuit is one of the prettiest sections of Lamington park with spectatcular views of Coomera Gore, the waterfalls and the subtropic rainforest foundi n this area. Starting at Binna Burra campsite is the entrance to this walk (at the top of the carpark). Although it is a longer walk, it is suited for beginners as well as it does not contain too many steep sections. Beware that after heavy rainfalls this track might be harder to attempt as it crosses the river several times. A classic walk to fhose who want to experience the Blue Mountains, a great walk to get into Bushwalking and a lovely destination to return to if you are already familiar with the area. Since its inception in 1907 the path has guided walkers along the canyon granting breathtaking views and offering a safe way around the moer tricky sections. With a path cut halfway up the cliff you can truly experience the blue mist giving the mountains their famous name and get a look at the diverse vegetation of this heritage-listed site. The cooler temperatures of the canyon allow you to take in the mighty sandstone cliffs and the intricate details of your surroundings even in the hotter months of the year. To get to the track drive to the Grand Canyon Loop track carpark just outside of Blackheath, a mere 2 hours from the heart of Sydney. It is advisable to use waterproof shoes for this track as it crosses the creek several times. Bordering on the Namadgi National Park and only 50 minutes away from Canberra, Tidbinbilla Nature Reserve offers a great escape to nature for the entire family. With a number of short walks, some of which are wheelchair accessible, the Reserve takes you through habitats of Koalas, Echidnas, Wallabies and a great variety of birds. The Camel Back walk is one of the longer trails throught he reserve taking you up to one of the highest ridges in the ACT. With lovely views you walk through eucalypt forest and into sub-alpine snow gum woodland to the base of Camels Hump. Start at Mountain Creek Carpark and follow the Management Trail. Many bushwalkers and our staff would agree that Wilsons Promontory is a superb bushwalking location in Victoria. Approximately 2.5 hours by car from Melbourne the National Park it hosts a variety of tracks and is especially suited for overnight walks. But even the daywalker will find plenty of tracks in the vast area of rainforest, granite mountains rugged coastline. One of the most favourite walks in “The Prom”would be the walk to Sealers Cove starting at Mt Oberon car park which reaches its highlight at the pristine beach of Sealers Cove offering great coastal views along the way. Allow plenty of time on this walk to explore the beach, go for a swim or simply soak in the spectacular views. If you are in the area around Adelaide and have not been to Deep Creek Conservation Park, you are missing out! With a number of hidden gems waiting to be discovered it is located 1.5 hours south of Adelaide. it is the largest remaining block of wildlife habitat along the Fleurieu Peninsula. To do the day walk to Blowhole beach, park at Cobbler Hill Picnic Area or Cobbler Hill Campground. Take the trail through the forest, trying to spot some of the many types of birds living in the park. As you descend to the beach be sure to soak in the brilliant views of Kangaroo Island and The Pages islands, probably one of the highlights this park has to offer. On your way back you will trek along the beginning stages of the Heysen Trail, a great long distance trail 1200km in length. Best attempted during the cooler months of the year, a trip to John Forrest National Park outside of Perth will give you a great opportunity for nice bushwalks. 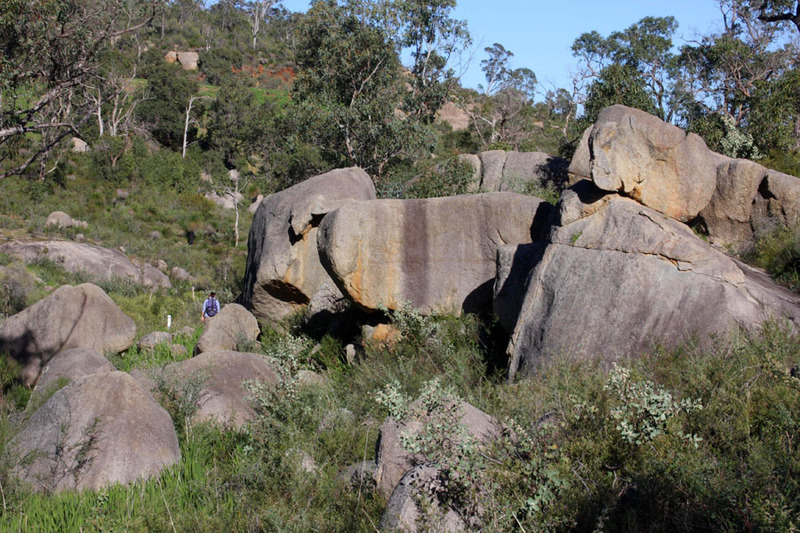 As one of the more challenging trails, the Eagles View trail offers lovely views across the Swan Coastal Plain and lets you experience the local vegetation of heathlands, mixed jarrahmarri-wandoo forest as well as a wide variety of wildflowers in spring. If it does get warmer, stop at one of the waterfalls for a picnic or cool your feet in one of the creeks that the trail passes as it weaves up and down valleys and hills. Park at the main car park upon entering the park and don’t forget to register at the Ranger’s office before you set out on your walk and when you return.